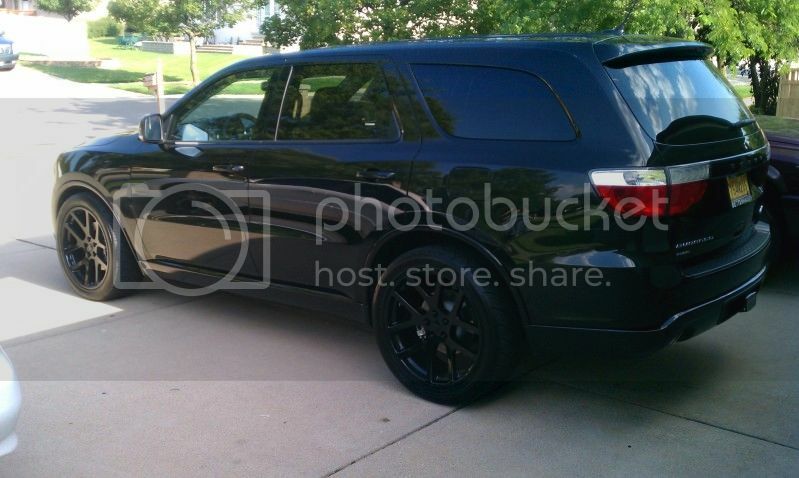 Hey everyone, I just traded in my 2012 Durango R/T and they apparently would prefer stock wheels back on the vehicle(even though this was a $3,500 option from dodge). So if anyone is interested I'm asking $1,500 plus stock wheels OBO. They have small curb mark otherwise they are in nice condition. Figured someone would enjoy these wheels. The dealership will swap them out as well. The durango also has tinted tail lights if someone wants them. Just trade for stocks. just let me know. Surprised nobody is looking for an awesome set of wheels.